waterproofing for unpolished (untreated) leathers. Notes: HAS NO COMPETITORS. The first and unequalled (over 60% market share). The most widely distributed. Product synonym. Quality of the contained fats. Greater consistency of the matter released. Smooth grip that does not scratch the shoe. Waterproofing. This product is also available in brown, neutral, black and suede. Leather, kip, impregnated leather, shoes and Camperos type boots, Texan boots, leather sneakers, football boots and boat shoes, trekking and sports boots in general, saddles and harnesses for equitation. Thanks to the mixture of selected fats, including lanolin, the leather will be renewed , soft and protected, from water too. 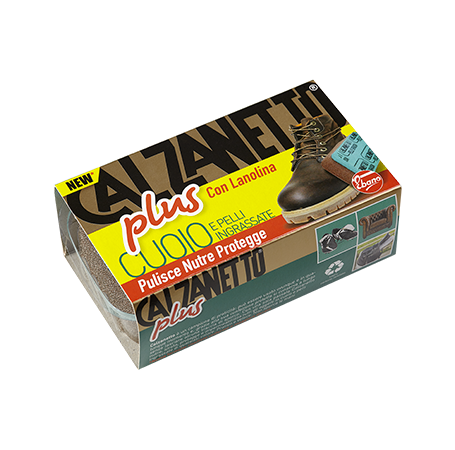 The use of the product should be repeated frequently in case of hunting and fishing accessories. The product should be allowed to absorb in the case of more delicate leathers while the treated surfaces should be left to rest for a while.